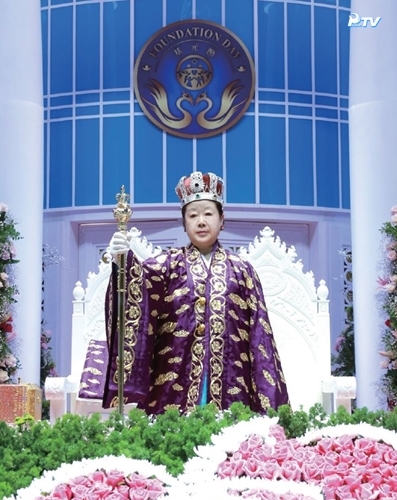 I liked it early on when True Father said that the Unification Church would eventually disappear. The current HSA seems to be getting more and more structured, controlling, and authoritarian at the top. When I was in the Seminary, True Father told us to go out to visit other churches and if we found a better one that we could go ahead and join it. He was confident enough to give us our freedom. I see HSA trying to control who members can talk to, associate with, and what they can read. Sanctuary Church on the other hand has declared they will not have any hierarchical structure. Everyone can freely associate with others and everyone should try to connect directly to True Father in spirit on their own. Sanctuary Church has just declared a members Bill of Rights to protect members from command and control leadership. Hyung Jin Nim and Yeon Ah Nim did not choose to be True Parents heirs. It was True Father’s will. It seems to me that it has taken Hyung Jin Nim these last three years to come to terms with his anointing and fully accept his mission, all the while constantly learning on the job. I love his focus on repentance. No one can be a true Abel if he/she is not humble. That’s my experience.